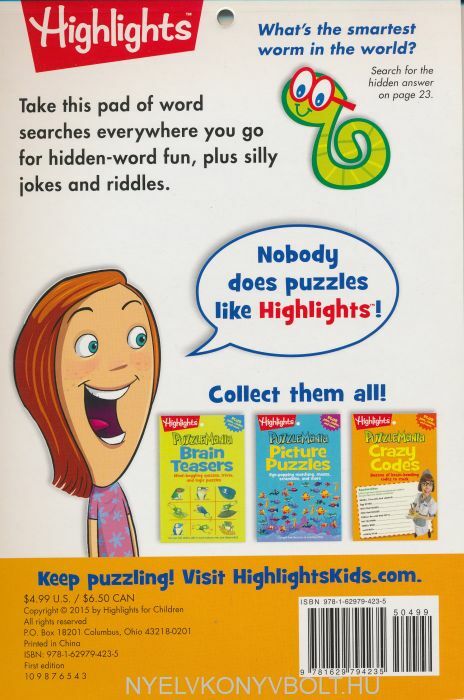 From the editors of Highlights' ever-popular Puzzlemania and Puzzle Buzz series, this curated collection of word-seeking fun will keep word-loving kids entertained for hours. 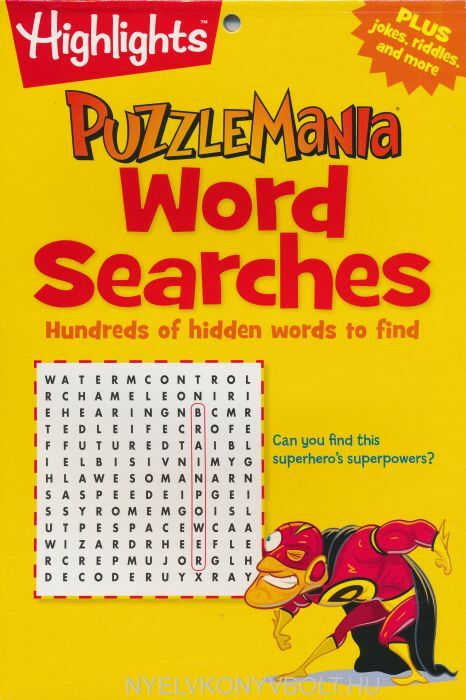 Formatted in an on-the-go, fun-to-share activity pad format, it contains more than 30 fun and colorful word searches, plus lots of bonus jokes,cartoons, quizzes (and more) that make it an experience that is uniquely Highlights. The four-color puzzles are on one side of the page, with the bonus content on the other side, making it an engaging back-to-back experience.